"Divided by war. United by love." The movie centers around Vera Brittain a lady who must overcome the restraints placed on women during 1914 in order to become a student and attend Summerville College. Edward, Vera's brother, Roland, her fiance, Victor and Geoffrey, their friends, must all serve on the front lines during World War I. Following their sacrifice, Vera leaves college and decides to become a nurse and join the Voluntary Aid Detachment. 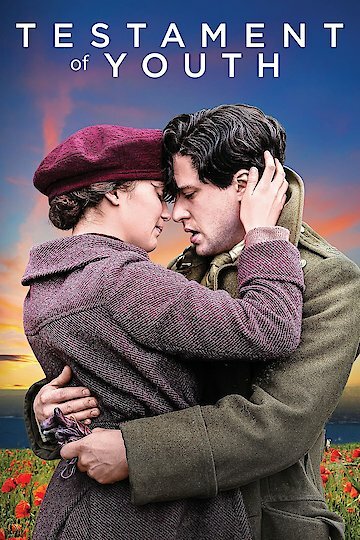 Testament of Youth is currently available to watch and stream, buy, rent on demand at FlixFling VOD, Amazon, Vudu, Google Play, FandangoNow, iTunes, YouTube VOD online.